That’s the sum of many Christmas releases and catching up on some stuff. Canadian grindcore band Wake have put Sowing the Seeds of a Worthless Tomorrow for free, for Christmas. I own their 2013 False, but totally forgot to keep track of them, so thanks for that! Like what I remember of them, it’s straight up brutal, blackened grindcore with some slight emphasis on dissonant intervals. The songs are fast-paced and short-lived, just how we like them here. Pilot have unofficially released their latest album, Damar, on Youtube, with a release on other platforms due soon. 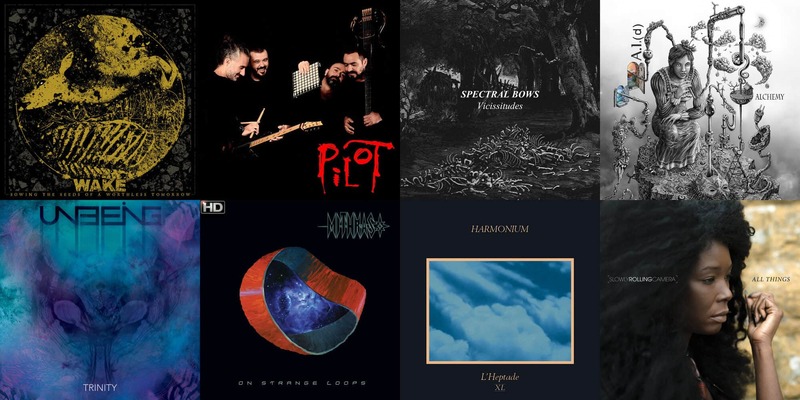 The Turkish folk and progressive rock fusion they craft is really rather unique. The guitar has some quarter-tone frets to play those characteristic scales and chords, accompanied by fretless bass, a keyboardist with many electronic instruments, and a drummer with a few traditional percussions too. The vocal style is also quite foreign, at least for me, being quite low and with a strong vibrato and frequent melismata. It’s a very good album offering something very unique! Australian ambient folk drone artist Lost Salt Blood Purges just released a Christmas EP, entitled Spectral Bows: Vicissitudes. They also have a full-length in line for a January release. As always, it offers something very quiet and haunting that’s at the same time bare and lush. ‘Vitamins beneath the Rippling Soil’ and ‘Ghast’ are really the two main tracks, here, and will give you a yearning, mournful sentiment. Recommended! French electro-djent project A.I. (d) just released Alchemy, and it’s massive! At over one hour and thirty minutes, you’ll get more than enough technical, brutal, fast, intricate and ambient djent. The sound and playing style is somewhat reminiscent of 24192 – for those who remember that! -, which is a compliment in and of itself, but more detailed and also more productive. You can download Alchemy for free here. Unbeing is a Canadian instrumental progressive metal band with tangible jazz influences. Trinity is a compilation album of their first three EPs, minus a few songs from their 2011 self-titled. 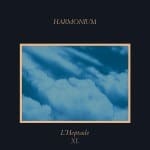 The compositions are pretty good and deliver impressive musicianship and song crafting. The production is a bit lacking for this kind of music, and it would be preferable to make it cleaner in the future so that every instruments lives and breathes alongside each other. However, it’s decent enough to not be detrimental to the listening pleasure, so enjoy yourselves! Mithras just re-released On Strange Loops with a new, better mix and production, now calling it The Hi-Res Full Dynamic Range Edition. When I reviewed the original release, on October nineteenth, I couldn’t put my finger on what was missing, but now I can say it was probably the production. The new version is much more digestible and enjoyable, and it paints the compositions in a beautifying light. It’s the definitive edition to get. 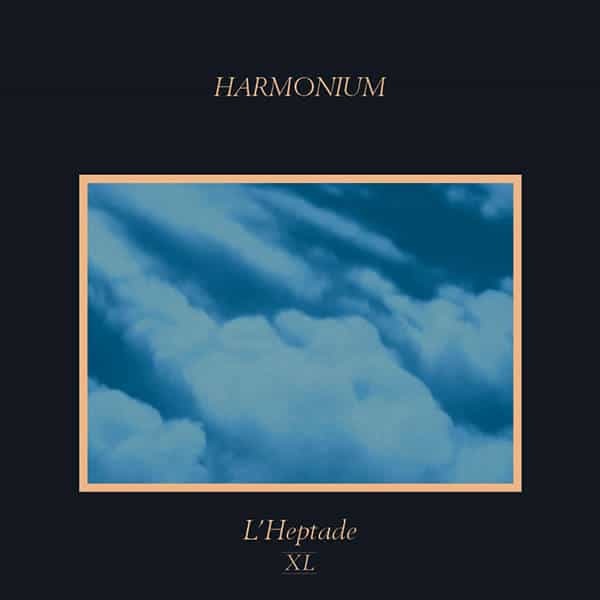 Québec’s legendary progressive folk rock band Harmonium recently released L’Heptade XL (read forty), a remastered version of the forty-year-old concept double album and swan song of the group. Working from the original stems, the XL version makes everything much clearer and modern, while still maintaining its vintage appeal. I noticed a strange thing, however: some songs are slightly faster. It’s not something you’d notice, but it’s undeniable when you put them side by side. This is probably due to how analog tapes work and how the playing rate can vary a little bit, which is totally different to how digital studios work nowadays. In any case, if you don’t already own this prog rock masterpiece, this is the time for it! Slowly Rolling Camera‘s latest album was released in November, but, as with many other things, I slept on it. I can’t say All Things is as good as Into the Shadow or their self-titled debut – I’d recommend them first over this one -, but it’s still a very good downtempo, soulish, trip hop jazz. Definitely give it a try if it’s something in which you’re even only slightly interested! On	December 26 2016, this entry was posted.